RALEIGH (WTVD) -- The Carolina Hurricanes have hired former Hurricanes captain and Stanley Cup winner Rod Brind'Amour as the team's next head coach, officials announced Tuesday. The team plans to hold an introductory news conference Wednesday afternoon. The team also announced that Don Waddell will officially serve as president and general manager. "Rod is the greatest leader in the history of this franchise, and has earned the opportunity to take charge of our locker room," said Don Waddell. "We spoke to a number of candidates for this position, but our conversations with staff and players consistently returned to the same person. Rod's fresh ideas, ability to motivate and understanding of what it takes to bring a championship to Raleigh will help our young team take the next step toward competing to bring the Cup back to North Carolina." Brind'Amour, 47, replaces Bill Peters who parted ways with the organization after four lackluster seasons. The Hurricanes haven't reached the playoffs since 2009. Peters compiled a career record of 137-138-53 in four seasons, after being named head coach for the Hurricanes on June 19, 2014. 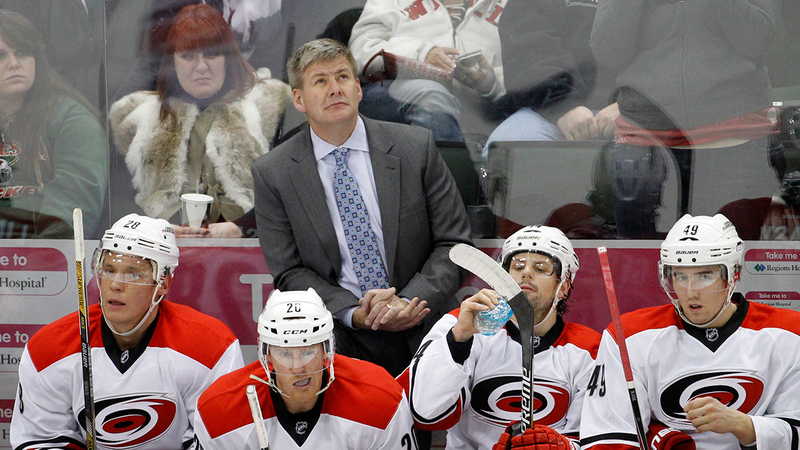 The Carolina Hurricanes announced Friday that head coach Bill Peters has resigned his position. After retiring, Brind'Amour spent two years working in a player development role with Carolina. He spent the last seven seasons as a Hurricanes assistant coach. Brind'Amour played 20 years in the NHL, the last with the Canes. He was named captain in the 2005-06 season which ended with the franchises lone Stanley Cup Championship. He'll serve as the 14th head coach and the fifth since the team moved to North Carolina in 1997.